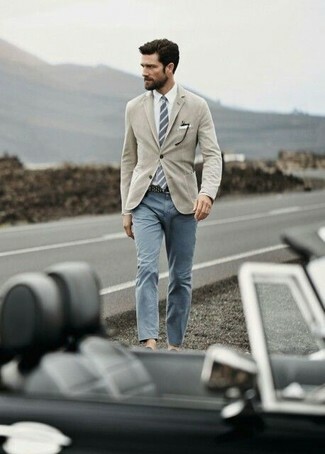 Such items as a tan blazer and navy chinos are the perfect way to inject extra class into your daily routine. 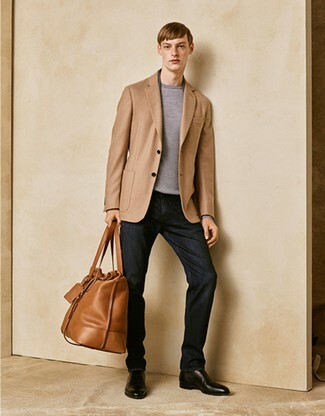 For a casually elegant look, dress in a Theory remsin wellar slim fit sport coat and khaki chinos — these two items the place of work perfectly well together. 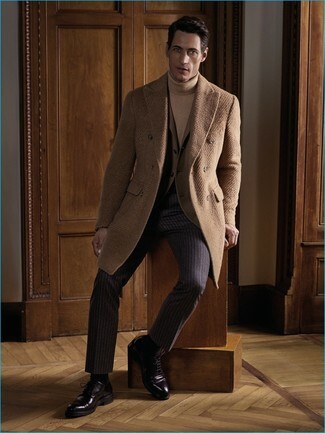 When it comes to shoes, this getup is round off nicely with brown leather loafers. 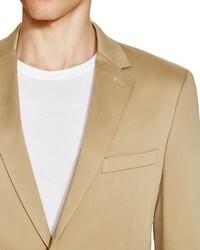 Go for a tan blazer and beige dress pants for a classic and refined silhouette. 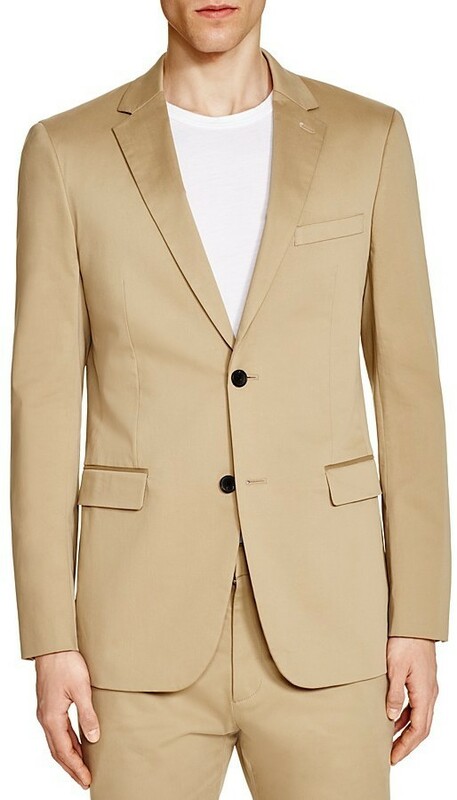 Consider teaming a Theory remsin wellar slim fit sport coat from Bloomingdale's with dark brown vertical striped dress pants for incredibly stylish attire. Feeling inventive? Complement your look with dark brown leather oxford shoes. 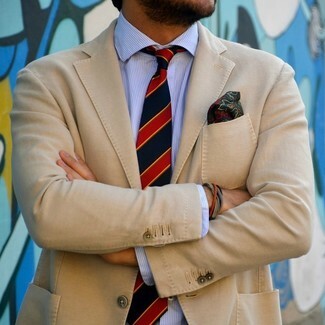 For a smart casual outfit, make a Theory remsin wellar slim fit sport coat and a white and blue vertical striped dress shirt your outfit choice — these pieces fit really savvy together. For a casually elegant ensemble, opt for a Theory remsin wellar slim fit sport coat and black jeans — these pieces fit really well together. Up the ante of your ensemble with black leather chelsea boots. This pairing of a Theory remsin wellar slim fit sport coat from Bloomingdale's and black jeans is super easy to make up without a second thought, helping you look seriously stylish and ready for anything without spending a ton of time digging through your closet. Up the cool of your look by complementing it with dark brown leather derby shoes. For a smart casual outfit, go for a Theory remsin wellar slim fit sport coat and grey chinos — these pieces fit really great together. 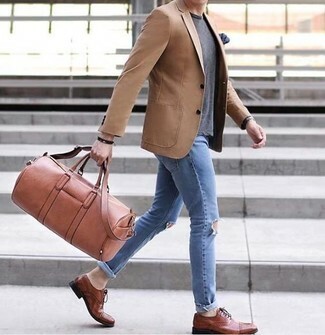 Rock a tan blazer with light blue ripped skinny jeans for a weekend-friendly look. Take a classic approach with the footwear and grab a pair of brown leather oxford shoes.